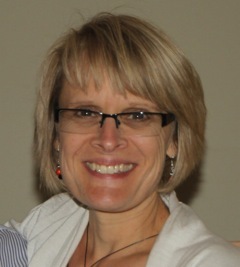 Terri Martinson Elton teaches at Luther Seminary in St. Paul. MN. She began at Luther Seminary as an adjunct instructor and working with contextual learning in 2004 before becoming the director of the Center for Children, Youth and Family Ministry in 2008. Elton became the Associate Professor of Children, Youth and Family Ministry in 2010 and shifted to be the Associate Professor of Leadership in 2014. Currently she teaches in the areas of congregational leadership, faith formation, and mission. Her most recent project was Leading Congregations and Nonprofits in a Connected World: Platforms, People, and Purpose with co-author Rabbi Hayim Herring. In this book they researched Christian and Jewish congregations and nonprofits to learn more about how they organize themselves in this age of networks. In 2018 Terri will be working on her next book project, Unprepared: Faith Formation in a Missional Age. Prior to her call to Luther Seminary, Elton served as an associate to the bishop in the Saint Paul Area Synod where her responsibilities included working with congregations, leadership development, First Call theological education and youth and family ministry. Before her work in the synod, she served at Prince of Peace Lutheran Church in Burnsville, MN. for 16 years. While at Prince of Peace she worked in various roles within children, youth and family ministries, as well as served as the director of Changing Church Forum, an outreach ministry of Prince of Peace. She also authored To Know, To Live, To Grow, a confirmation curriculum, and co-authored What Really Matters, a book for congregational leaders, with the Rev. Mike Foss. Elton holds a B.A. degree in communications from Concordia College in Moorhead, Minn. (1986). She earned both her M.A. (1998) and Ph.D. (2007) degrees in Congregational Mission and Leadership from Luther Seminary. Elton is a member, and President, of the Academy of Religious Leadership, as well as serving in various roles within the ELCA Youth Ministry Network. She has also been a member of the Association of Youth Ministry Educators and the American Society of Missiology, as well as served on the board for Real Resources.